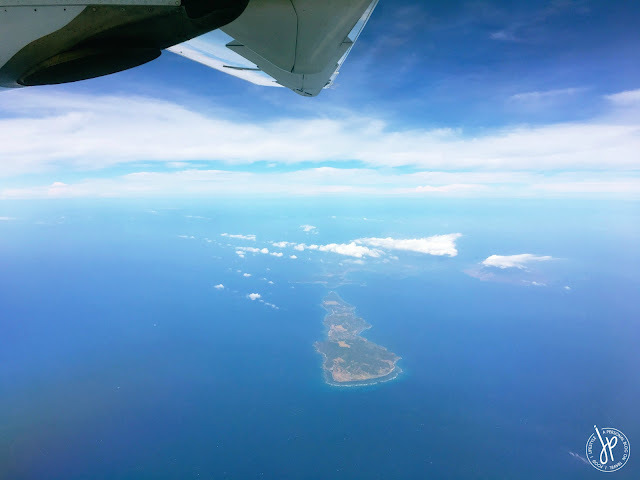 Earlier this year, my family and I went to the #bestislandintheworld for the first time. 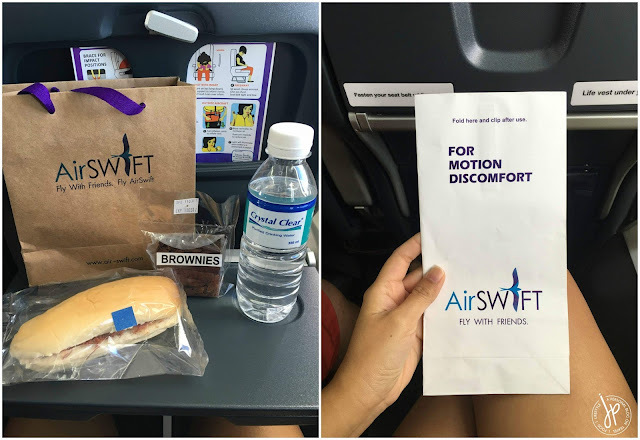 There’s only one airline that flies directly from Manila to El Nido and that’s AirSWIFT. Formerly known as Island Transvoyager, Inc. (ITI Air), the airline rebranded to what is now known as “the Philippines’ only boutique airline offering daily roundtrip flights from Manila to El Nido”. 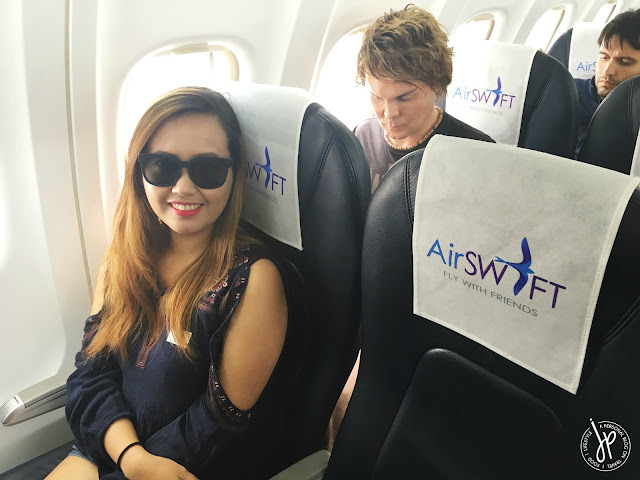 Claiming that AirSWIFT has “rich heritage of professionalism and we uphold excellence by observing only the highest standards of quality, safety and security in aviation services”, we decided to jump in and put this airline to the test! Ok I admit I’m a little terrified flying in small planes (and being in tight spaces because I’m a bit claustrophobic). 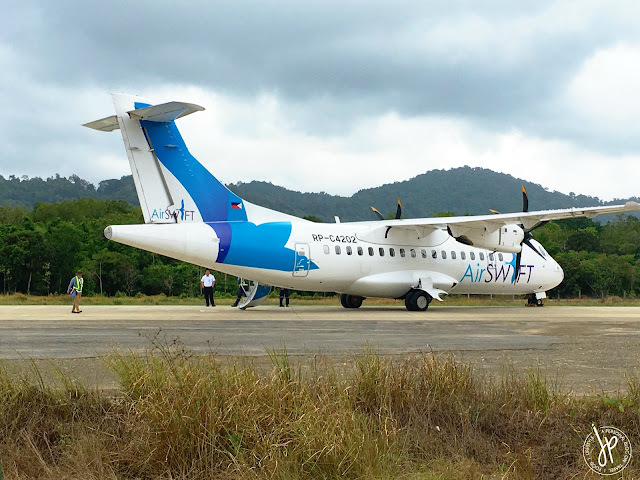 Going to El Nido meant flying on board ATR 42-600: a 50-seater plane. So we went to NAIA Terminal 4 on the day of our flight. As always, we were one of the early birds. The process of checking in was indeed swift and the usual protocol of presenting proof of confirmed booking and government IDs were essential. The ground personnel at the check-in counter was polite and professional, and surprisingly she was able to pronounce my husband’s name correctly (which NEVER happens). Once we got our boarding passes, we proceeded to the boarding gates. Right after bag inspection, another ground staff was waiting for us and gave us AirSWIFT stickers with our flight number. 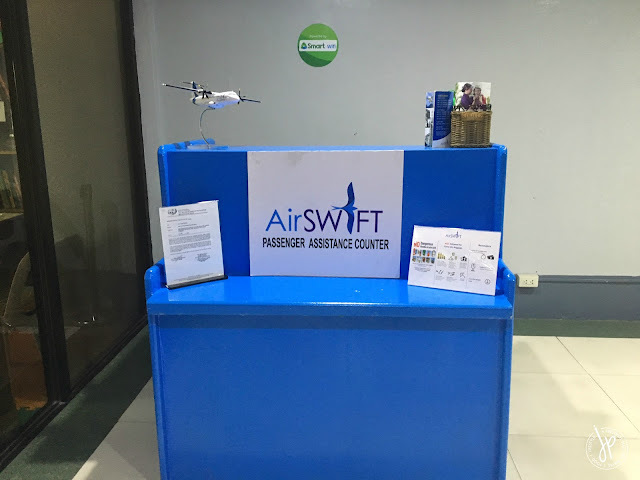 We were then directed to the AirSWIFT Passenger Assistance Counter. My friend who travels frequently to and from El Nido said that there’s a VIP room and that we should go directly there. Now this is the part at NAIA Terminal 4 that’s a bit confusing and upsetting. 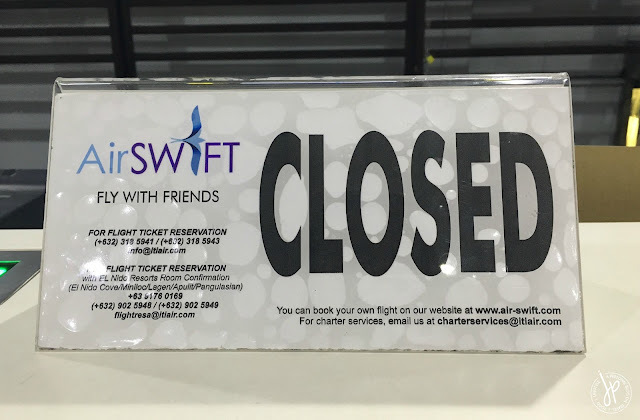 Obviously we weren’t able to locate the VIP room because we were directed towards AirSWIFT’s counter. And since there was a desk at the front right corner near the Kiddie Travellers Lounge, we thought that the small holding area was designated for AirSWIFT passengers only. Unfortunately, it wasn’t. We still had to wait for passengers of other airlines to vacate the seats. Finally it was time to board the plane! From the boarding gates, we rode a bus going to the aircraft. 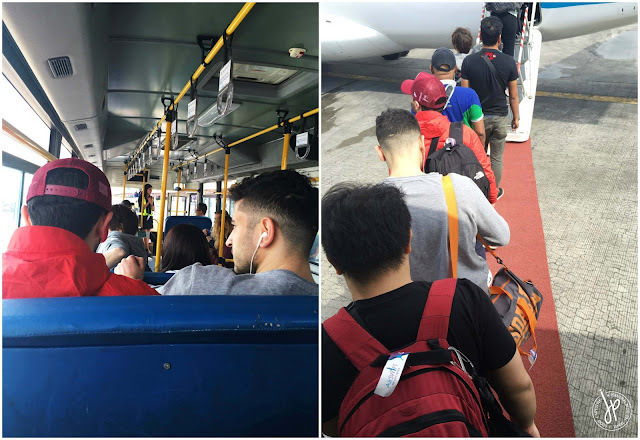 I noticed that out of all the passengers, there were only a few Filipinos (maybe around 8 including the 4 of us) and the rest were foreign tourists. As expected the plane was small but it was clean and had enough leg room. Boarding was also quick as it was only a 50-seater plane. There was only one flight attendant on board. 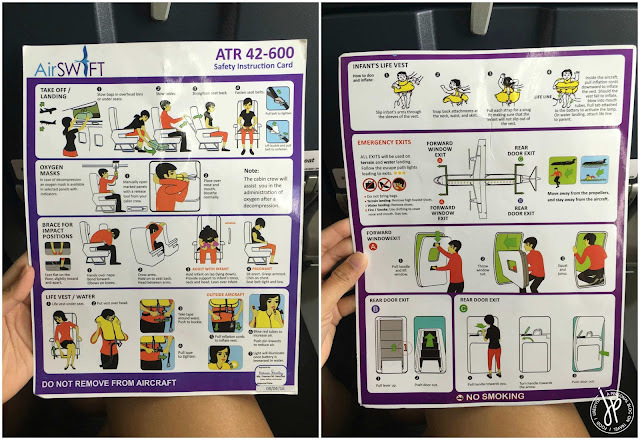 Same as with other airlines the flight attendant provided the passengers with safety procedures and final checks before the plane took off. The take off was smooth and the entire journey was actually calm. Thank goodness we didn’t experience any turbulence. I usually stay away from the window seat because I feel like I couldn’t breathe, but there was enough space in between rows. It’s also a plus that the ocean and the islands below were positively distracting. The view was so beautiful, that I didn’t even notice we already touched down! Either El Nido was just fascinating or the pilot was just too good doing his job. 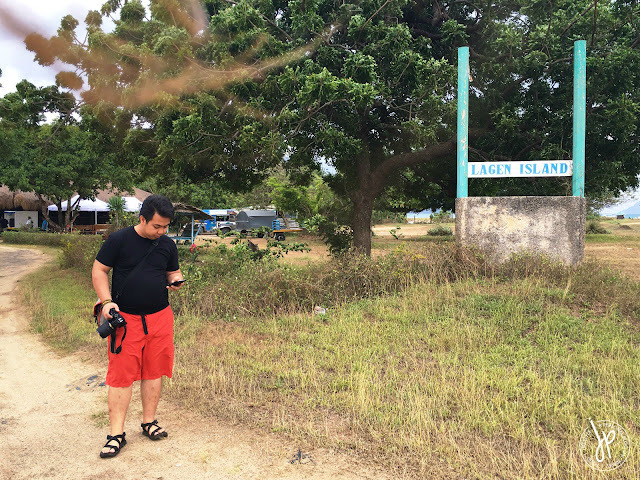 Upon landing, we then rode an enormous jeepney going to the EL Nido / Lio Airport’s Arrival Area. 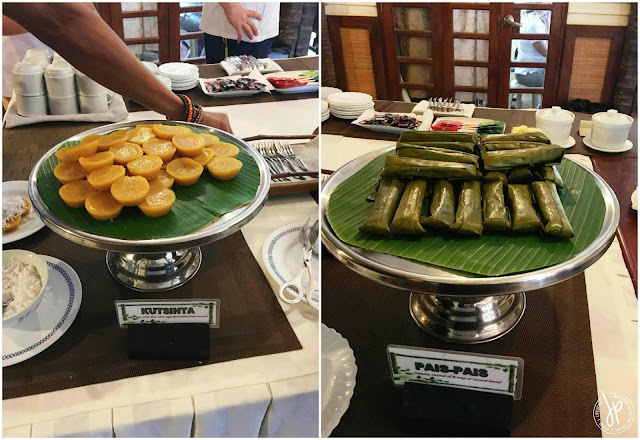 We were greeted by singers, some refreshments, and native Filipino delicacies. 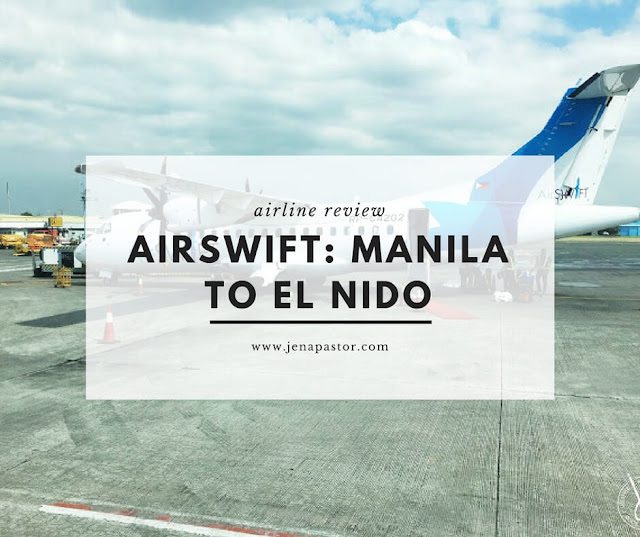 Will I ever fly with AirSWIFT again on my next trip to El Nido? Absolutely! I can definitely say they provide excellent service and convenient travel to the #bestislandintheworld! 1. 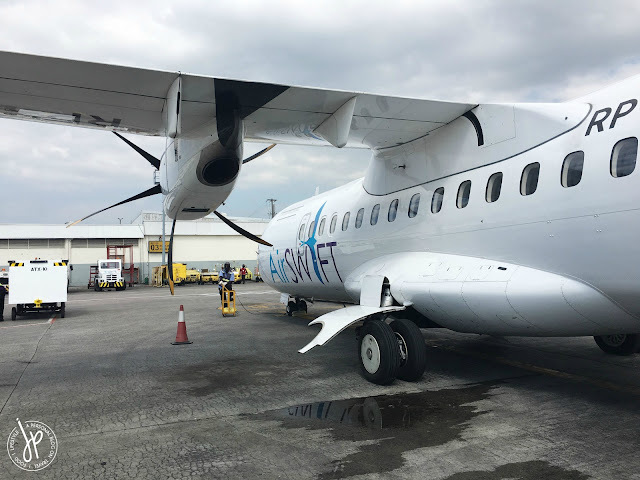 AirSWIFT flies from Manila to El Nido daily. 2. The average cost of Manila to El Nido (one-way) is Php 6,300 (around US$ 125) on a weekday. 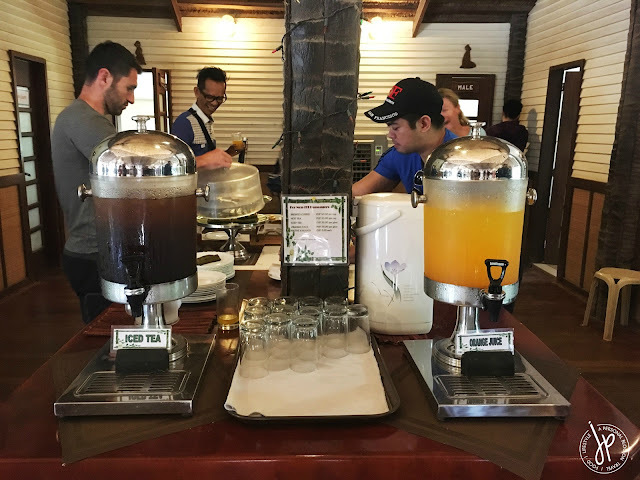 Weekend travel usually costs Php 7,500 per person (US$ 148.50). 3. 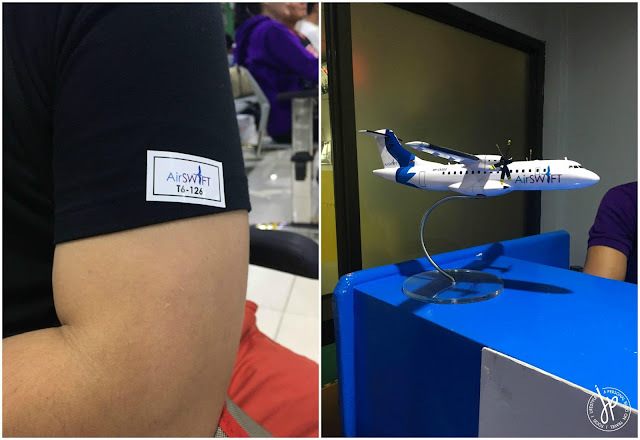 AirSWIFT offers roundtrip promos for passengers leaving from Cebu and Clark. I’ve never seen a promo for Manila, though. 4. If you find a flight schedule that fits your itinerary, book that schedule right away. Remember that the planes only accommodate 50 passengers. Despite the fare being expensive, passengers book the flight anyway because of convenience. 5. You’re allowed 10kg of check-in baggage and 7kg of hand carry for your Manila to El Nido flight. You won’t see this while booking at AirSWIFT’s website but you’ll find this detail upon receiving your booking confirmation on your email. 6. Seats will be assigned upon airport check-in. 7. 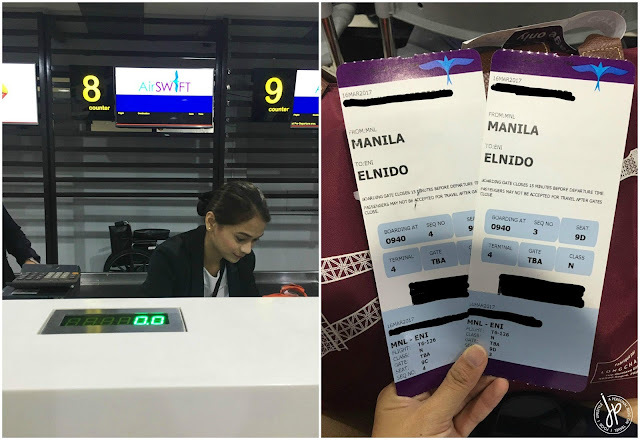 Flight time from Manila to El Nido is approximately 55 minutes only. 8. More information about their flights at air-swift.com. 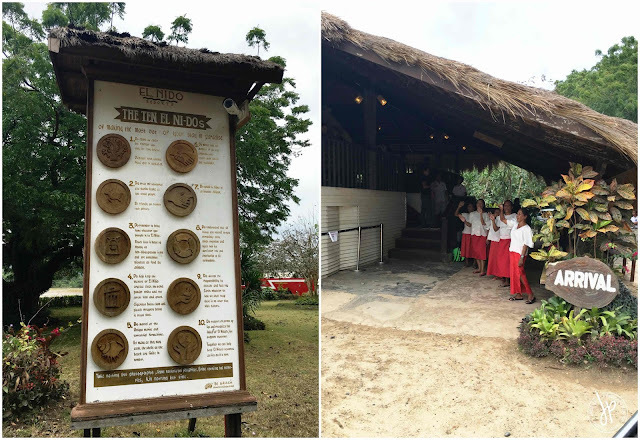 There’s a cheaper alternative going to El Nido and the most popular one, too. From Manila, take a flight going to Puerto Princesa. An average regular one-way fare only costs around Php 2,500 (about US$ 50) for Air Asia with a flight time of 1 hour and 15 minutes (other airlines that travel to Puerto Princesa are Philippine Airlines and Cebu Pacific). Promo fares can take you to Puerto Princesa at just Php 2,000 or less, round-trip. At Puerto Princesa, take a shuttle van or Cherry Bus going to El Nido. 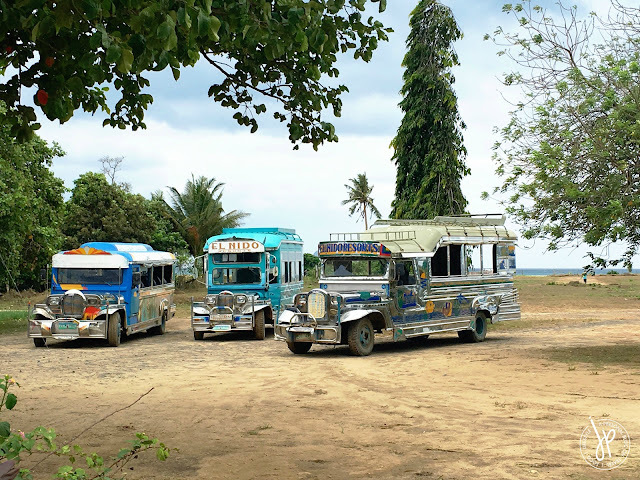 Vans reach El Nido within 6 hours, while the Cherry Bus can take 6-8 hours of travel depending on the number of stops along the way. At the van or bus terminal in El Nido, you still need to take a tricycle going to your accommodation. Based on the people I know who traveled via this option, riding the van can be uncomfortable, especially when the van is packed with other passengers. And if you're taking this option, prepare for a whole day of travel (including waiting time at the airport) from Manila to El Nido.